That was what comedian Steve Bugeja felt when first arriving at the Fringe, but he’s made this room his home. 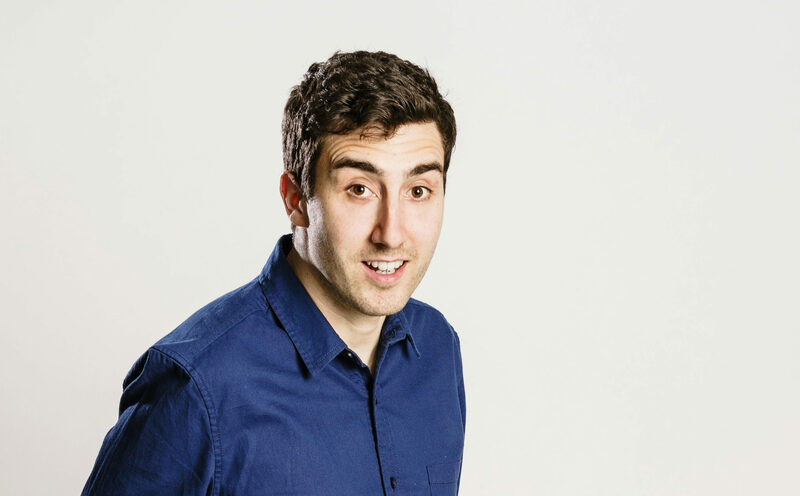 Steve Bugeja Almost – what he thought was a good title a few months ago, and not a tribute act to the 26-year-old, is a fun show based around a plane journey from hell experienced by the performer. Faced with a text from his girlfriend saying “we need to talk”, he spent thirteen hours fretting about what it could be about and whether or not his relationship would be DOA at Heathrow. This over-arching tale takes genial Steve on several tangents covering his love of trains, teaching old people about technology, and his dreaded lactose intolerance. While the audience took a while to warm up, (especially the man in the front row who kept his jacket on until the time was right to give his approval to the show by disrobing) Steve is a charming, likeable stand-up with a set packed with gags. You can read Steve’s Fringe diary for The Sunday Post here. One of the more pleasant hours you’ll spend in a cave with curtains.